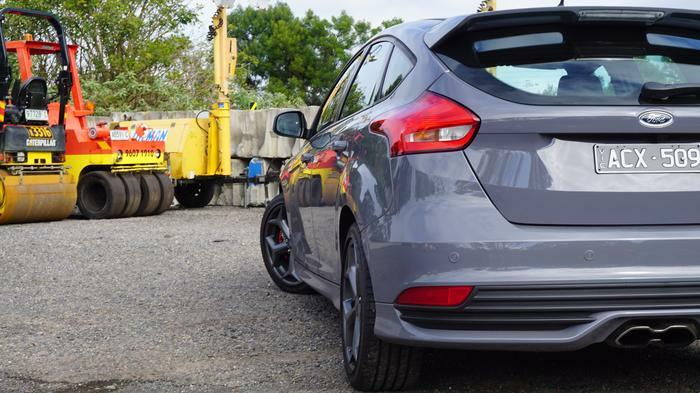 The ST has come a long way from the modest gene pool of Ford’s Focus. Its lines are sharper and more masculine, its bonnet bulges and the hexagonal grille of its front makes it look as though it is grinding its teeth. Bold styling swears it has some performance pedigree, with a spoiler that extends well over its boot, large 18-inch alloys and two hexagonal tailpipes. Then there’s the ST badging, which is in a colour coined by Ford as ‘Blood Red’. The interior is in keeping with this bravado. The Recaro seats take inspiration from a racing car set-up, as do the dashboard's instrument gauges and the high-mounted the gear stick. The resulting sensation is that the driver’s seat feels more like a cockpit. Some parts of the interior are raw. The lining of the centre console isn’t fixed and lifting it up reveals unrefined metal. And when long feet exceed the length of the accelerator pedal, they can feel the rack of the steering column rotate as the car turns. These traits would be red flags in a luxury car, but the ST won’t apologise for such lapses: its styling forewarns performance comes first. 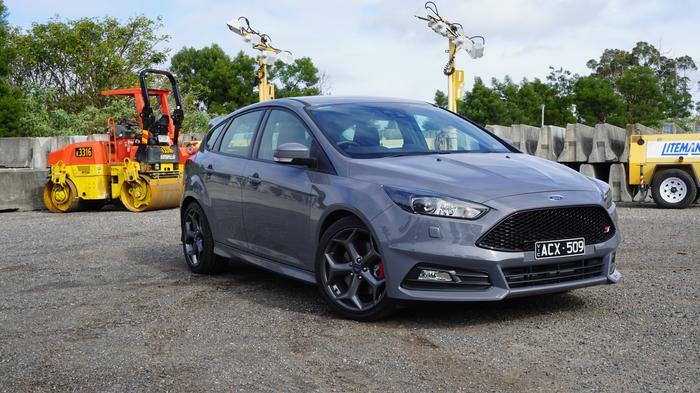 Opt for the Technology Pack ($2000 extra) and Ford will kit the ST with a suite of technical driving aids. A noteworthy inclusion is the Lane Keeping Aid (LKA), which will subtly assist the car’s steering so that it sits in the middle of a lane. The pack bundles it with features including active city stop and blind spot detection. 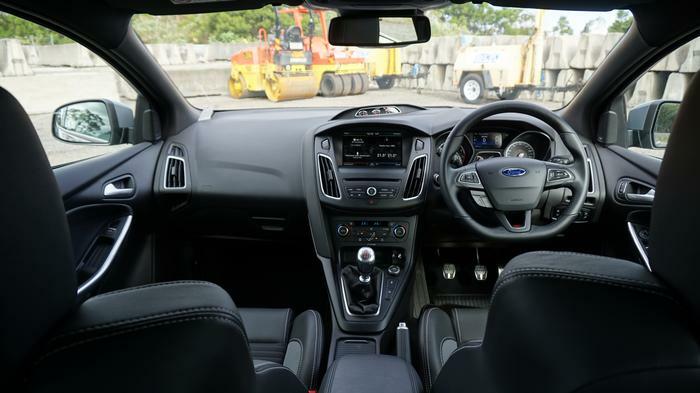 No matter, spending a day inside the Focus ST is a pleasant experience, especially for those seated behind the wheel. There’s a 9-speaker Sony sound system and the infotainment system is managed from an 8-inch touchscreen. Driver’s seldom have to take their eyes from the road with an exemplary trip computer, located in the instrument panel, which feeds information that is both relevant and contextual. Representatives at Ford proudly promote Sync2, which is the personal assistant featured in select models. Fixed voice commands ensure it accurately recognises prompts — most of the time. Ride quality remains less refined. This is a stiff car programmed to stick to the road, and those that are slightly worn cause it to waddle as it dips into potholes and rides the bumps. Forgiving this transgression is easy because expecting the ST to be comfortable is like buying sport shoes to wear when you’re sitting down. More than anything, this car is about laughter: laughter in idle, laughter in the bends and laughter on the straights. Beneath the bonnet is a 2-litre, 4-cylinder engine that is turbocharged to deliver 184kW to the front wheels. This is enough to get the ST from 0-100 in 6.5 seconds, though the statistic fails to articulate how this car builds up to speed. 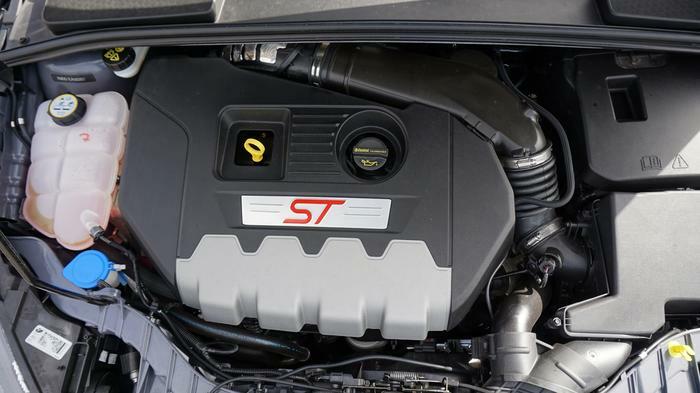 Ford claims the ST’s stop-start engine will achieve 7.3-litres for every hundred kilometres. Driving it with enthusiasm led to us averaging 10.8-litres. It starts with the car sitting stationary at the lights, the engine's burble warns it is no ordinary hatchback. Hands begin to dampen the perforated leather on the steering wheel. The light turns green. Tap the throttle and it gives off a warm note. ‘Sporty’ hatchbacks are often characterised by a pitch higher in tune. Hearing one driving down the road is all it takes to know a four-cylinder is coming. The ST differs. Its engine note is so deep and guttural that it fools you into thinking it has twice as many cylinders. Quieting it requires a high gear, such as fifth or six, which will also serve the purpose of economy. Bury the pedal and the front wheels struggle to put down the power. Torque steer — a common occurrence in low gears — causes the steering wheel to flail left and right. This car needs to be handled, grabbed by the scruff of its neck and commandeered into a straight line. Wasting power at the wheels is not the quickest means of going fast, but the barely-tamed attitude does pay off by involving the driver. There’s a mechanical purity to this car. Only a manual transmission is offered; the clutch is heavy, the gear shift is smooth and engaging a gear is punctuated by a metallic ‘click’. It barks during down gears, not with some inorganic petrol afterburn, but with the audible sound of the engine wasting revs greater than 3000rpm. Cornering remains a hallmark of the ST brand. Darty steering allows it to hit the apex of a corner and its propensity to grip will see a tight line through. Upgrades have not taxed the car’s playful personality. 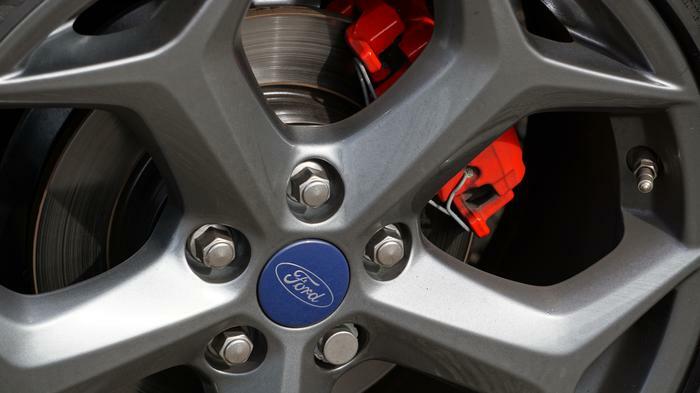 The brakes are applied to select wheels — as part of the car’s torque vectoring control — in an effort to rein the car in. Other changes reaping rewards include the optimised electric power steering and upgrades made to the car’s suspension. So much of the ST focuses on the purity of a sports car. 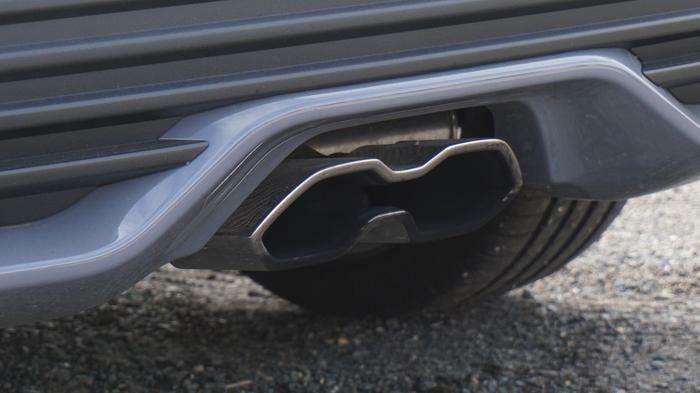 It nails it in every aspect, besides the shape, which is a pivotal part of a sports car’s identity. This is a hatchback suited for the family, and yet it only comes in manual and has a rough ride. Pricing is from $38,990, and that’s little more than the $37,150 Subaru BRZ, which is a car that looks nothing like Ford’s hatchback ST.